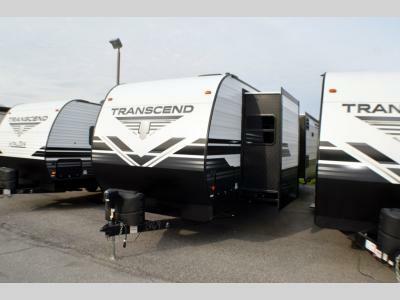 Have you been thinking about getting an RV but haven't decided which type? 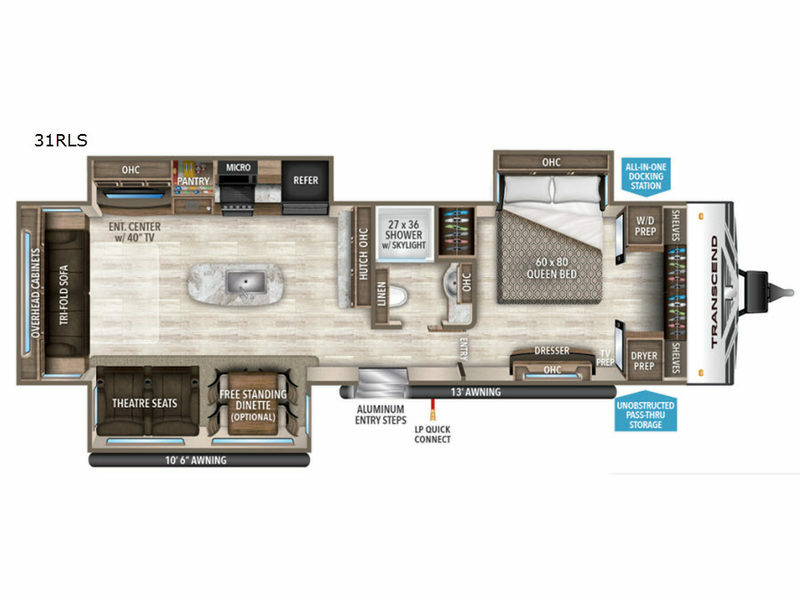 Do you want to have all the conveniences of home and enough space to move around? 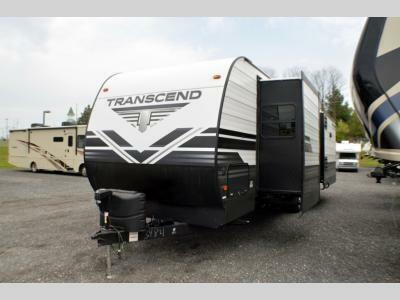 This Transcend travel trailer offers just that with its three slides, a kitchen island, and a large private bedroom so that space is no issue. The rear living area includes a tri-fold sofa and theatre seats, plus a 40" LED HDTV. The cook will love the kitchen island for preparing and serving food, as well as washing dishes, and don't forget that there are two electric awnings that provide an outdoor living area protected from the elements.